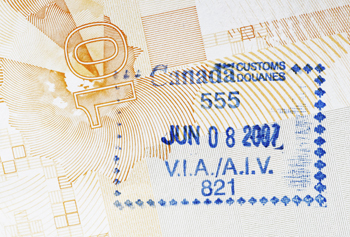 If you have never arranged for a visa to Canada – or any other country! - before you may not know exactly what to expect from the process. There can be a lot of documentation to provide and the application forms will ask for a lot of information; it is best to complete this in as much detail as possible. The more information you provide the easier it is for immigration officials to approve your application for a visa to Canada. However, you don't have to wade through the process yourself; there are many immigration consultants who can help you with the application from beginning to end. But before you choose someone to help you out, it's a good idea to first understand what to look out for. Getting a visa to Canada is not an automatic right and anyone who applies must be able to demonstrate they meet the relevant criteria. In some cases even if you do tick all the boxes for a visa to Canada you may not get approved because the annual cap has already been exceeded. For these reasons, no single agency is able to guarantee that they can get you a visa to Canada. Using an immigration consultant can vastly improve your chances as they have the necessary skills and experience which helps them to understand what border control officials are looking for. This means that their acceptance rate can be higher than individuals who apply without assistance. However, this does not mean that they are able to guarantee you will be given a visa to Canada and you should be wary of any person or agency who promises this. In the past there have been a number of scams where agencies have promised individuals that they can secure them a visa. This is usually in return for a substantial cash sum. It may be tempting to believe such claims especially if filling in the paperwork is becoming a hassle. However, no genuine immigration agency will ever guarantee you a visa to Canada; the best they can promise is to maximize your chances compared to an application completed without their help. Individuals who run such scams may not only take your money without securing you a visa, they may also operate identity fraud rackets which can be difficult to resolve and could mean you risk losing even more money, at least in the short term. It's therefore important to make sure the immigration consultants you decide to use are legitimate and are honest with you at every stage. Looking for a company which has a worldwide presence and history of successful visa applications can be a good way of weeding out the top immigration consultants from the scams.